Monday, March 20, 10:30 a.m.
March is Women's History Month, so we thought this a most appropriate time to learn more about the woman once called “the first lady of the world” - Eleanor Roosevelt. 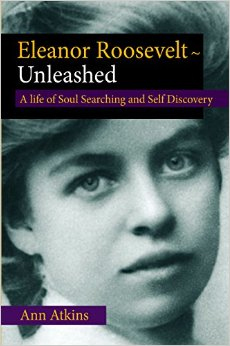 Presenter Ann Atkins is the author of “Eleanor Roosevelt-Unleashed, A Life of Soul Searching and Self Discovery”. She will share the themes of Eleanor’s life: justice, leadership and social responsibility. Ann weaves together Eleanor Roosevelt’s personal struggles and public life on the journey to becoming a champion for human rights. Ann Atkins has a vast breadth of knowledge of courageous women. She is also the author of “Golda Meir-True Grit” and “Marie Curie-A Nobel Life”. She has appeared at the National Press Club, and presented at universities and civic associations. Penn's Village is grateful that Ann is a neighbor.